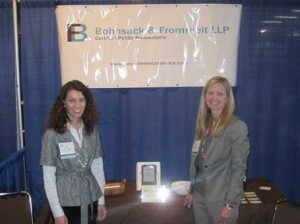 On March 28, 2012, Sarah and Mia presented to the Iowa Association of School Business Officials in Ames, Iowa. On April 26th, Sarah and Mia had the pleasure of presenting an application based workshop on GASB Statement No. 54. in Red Oak, Iowa for IASBO members. Thank you Shirley for inviting us! On March 30th we attended the IASBO Conference as a participant in the vendor fair. On March 30th, Bohnsack & Frommelt LLP attended the IASBO Conference in Ames, IA.